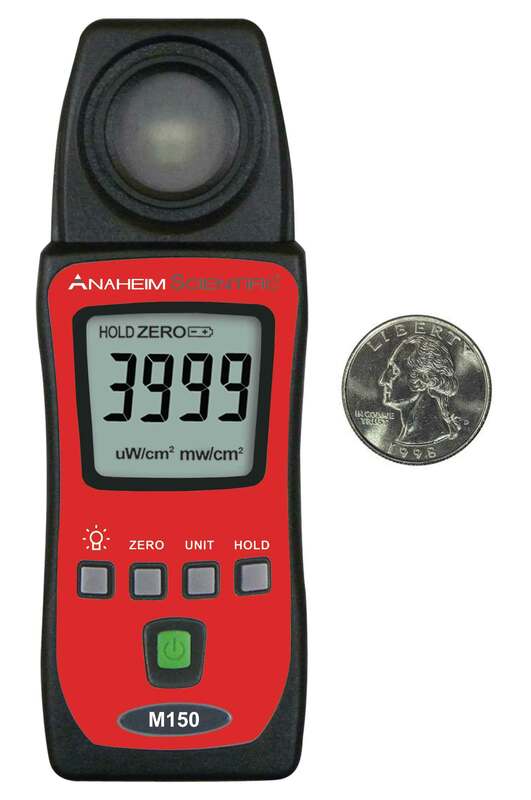 The M150 provides professional high quality UV readings from a small compact meter. The M150 is durable, reliable, and easy to use. Please click here to contact our distributors directly to find out where to buy the M150: Mini UV-AB Meter.